Need information? Give us a call at 423-261-2039. We will be happy to assist you. In order to comply with USDA food safety regulations, we do not sell nor provide anything containing meat, poultry, eggs, canned low acid foods, or dairy products. We sell herbs (plants) and mushrooms for a novelty, religious, or food supplements only. We may list other sites that sell FDA regulated products, but we are not in any way responsible for what others sell. Our fruit products are picked by hand in Tennessee and made in small batches to preserve quality and flavor. Only the finest fruit goes into each batch of jams, jellies and preserves. 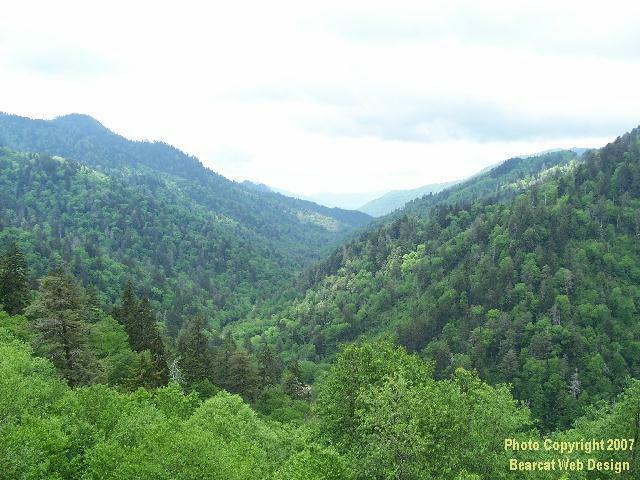 Our products contain local Tennessee and North Carolina grown fruit. We do not use artificial flavoring, fillers, or artificial color. All of our fruit is seasonal and most in limited quantities. We do not stock large supplies of our jams and jellies. They are done one batch at a time and not 500 gallons at a time like commercial jelly companies. If you want a special jam or jelly, please email us with your request. We make our jams, jellies and preserves only as Mother Nature dictates. Some seasons we are well stocked, others we are not. Please email us before ordering. Coming this summer will be Queen Anne's Lace (aka Wild Carrot) flower jelly. Mimosa Flower Jelly - if you love the aroma of mimosa blossoms in summer, then you will absolutely love this jelly. People who have tried it told me that it tastes like the blossoms aroma. Not many people know that the mimosa tree is related to the legume family that includes beans, peanuts, soy beans, and kudzu, etc. W ild sweet violet jelly - sweet floral taste blends with just about anything. 8 oz. jar $8.00 plus shipping. email to order. Redbud Flower Jelly - 8 oz. jar $8.00 plus shipping. email to order. Honeysuckle flower jelly - 8 oz. jar $8.00 plus shipping. email to order. Zingy, slightly tart cool taste that surprises your taste buds with lots of flavor. Goes great on your morning bagel or as a condiment for wild game. $8.00/8 oz. jar, plus shipping. Email Wild Pantry to Order. Possum Grape Jelly - Made from wild "possum" grapes picked by hand from the mountains of Tennessee. Please email to order. Prickly Pear Jelly - $8.00/8 oz. jar, plus shipping. Email Wild Pantry to Order. Pawpaw jam - Pawpaws are the largest wild fruit found in the United States. This is not papaya jam. It has a sweet, exotic taste. $8.00/8 oz. jar, plus shipping. Email Wild Pantry to Order. $10.00/8 oz. jar, plus shipping. Photo copyright by Wild Pantry. 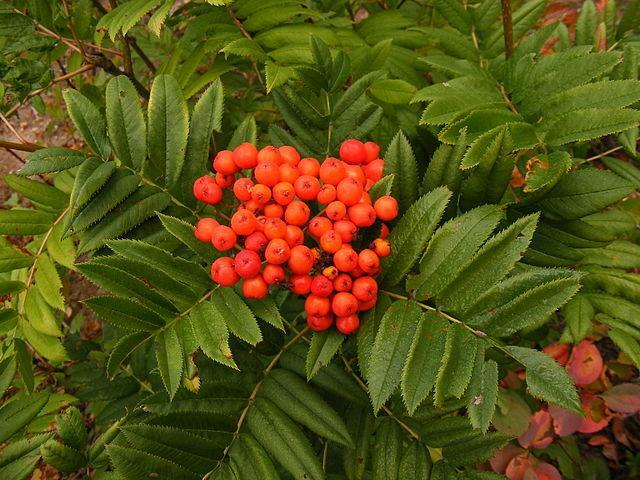 -Sorbus americana - $8.00/8 oz. jar, plus shipping. Email Wild Pantry to Order. Rowan jelly is the traditional accompaniment to twelfth-cake in the Christmas season and you can't have haggis without it. 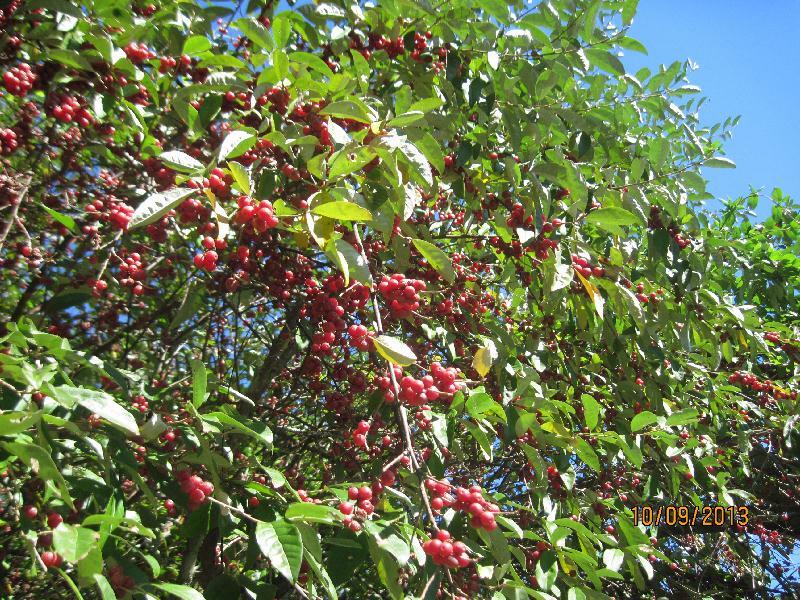 Wild Hawthorn (Crataegus macrosperma) (similar to apple or crab apple in flavor) $8.00/8 oz., plus shipping. Email Wild Pantry to Order. http://www.americanheart.org/presenter.jhtml?identifier=3035177 - do not take hawthorn if If you are currently taking prescribed heart medicines. Ask your physician before taking any products containing hawthorn berries. Arkansas Black Apple Jelly - cinnamon spiced jelly - $8.00/jar, plus shipping (out of stock) - email to order. $8.00/jar, plus shipping - email to order. Arkansas Black Apple Butter - $8.00/jar, plus shipping - email to order. Arkansas Black Spiced Apple Sauce - $8.00/jar, plus shipping - email to order. Kudzu Blossom Jelly - Flavorful and aromatic kudzu blossom jelly will surprise you and your friends. Only in the South can you hear about the mile-a-minute vine. It is the bane of farmers and landowners and is considered invasive. However, the entire plant is nutritious and edible. Don't complain about the weeds......EAT THEM! Wild plum Jam - Made with wild red and wild yellow plums wild harvested in South Georgia, USA. Unique tart, flavorfully fruity plum taste just like Great-grandma used to make. Very limited supply. 8 oz. jar - $8.00, plus shipping. Email Wild Pantry to Order. Wild Blackberry Jelly (seedless) - 8 oz. jar - $8.00. - plus shipping. Email Wild Pantry to Order. Whole Blackberry Jam (contains seeds) - 8 oz. jar - $8.00 - plus shipping. Email Wild Pantry to Order. Autumn Olive Jam - This jam tastes like a mix of wild red plums and cranberries. $8.00 8 oz. jar; 16 oz. jar $16.00; - plus shipping. This jam is terrific with wild meat or domestic meat especially fowl and pork. (in stock) Email Wild Pantry to Order. Photo copyright Wild Pantry. A native of southern Europe, western and southern Asia, Autumn Olive was introduced to the United States in 1830 and was used as an attractant for wildlife and erosion control. Scientific research has found that the red berry of the Autumn Olive has a high concentration of lycopene, the pigment that colors tomatoes red and that ounce for ounce, the fruit of the Autumn Olive is up to 17 times higher in lycopene than a raw tomato. Researchers are now looking at it's potential source of a food that is capable of reducing the incidence of cancer and also as a means of halting or reversing the growth of cancers. Lycopene has also shown a potential as a deterrent to heart disease, prostate cancer, cervix and gastrointestinal tract cancer. Autumn Olive berries can be made into jam, jelly or wine. The following is by special order.. Limited quantities are available. Sassafras Tea Jelly - Introduced by Native Americans in Florida to the Spaniards in the 1500's, Sassafras has been enjoyed for over 400 years. In the past, Sassafras was also used as the main ingredient in root beer formulas. The jelly tastes just like the tea only better. $8.00/8 oz. jar. - plus shipping. Email Wild Pantry to Order. 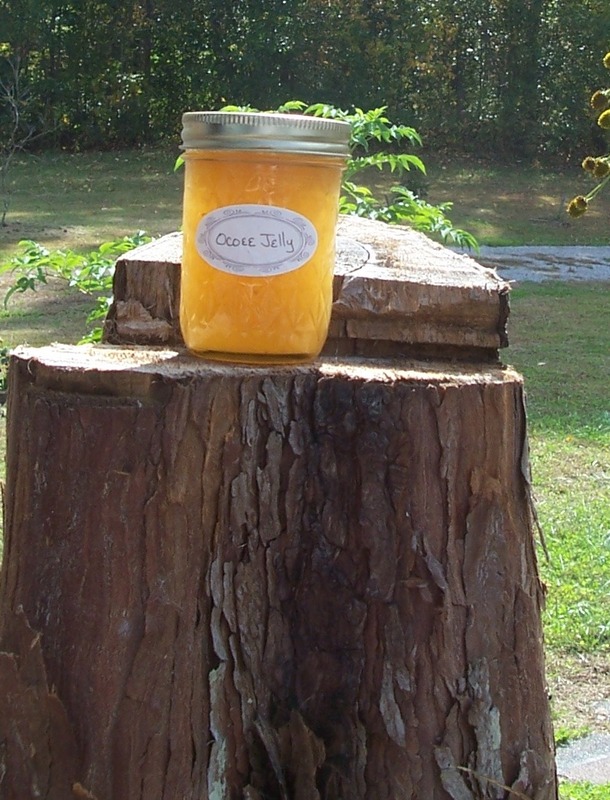 Corn Cob Jelly - $8.00/jar plus shipping. Email to order. Muscadine Jelly or jam - The wild kind of grape native to America with a flavor like that of an intense concord grape. $8.00/8 oz. - plus shipping. Email Wild Pantry to Order. Wild Grape Jelly or jam - We use possum, fall grapes, or fox grapes. Very unique tart flavor. $8.00/8 oz. - plus shipping. Email Wild Pantry to Order. Wild Persimmon Jam - Unique flavor much like pumpkin and plum combined. $8.00/8 oz. - plus shipping. Email Wild Pantry to Order. Elderberry - So unique you have to taste it to appreciate it. Tart/Sweet and lovely. 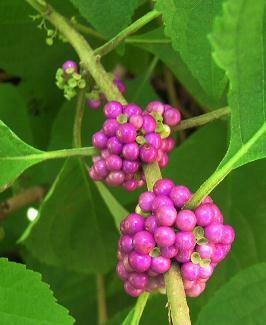 Read abut the anti-viral properties of elderberries. $8.00/8 oz. - plus shipping. Email Wild Pantry to Order. Wild Crabapple Butter - Sweet tart flavor of apples. $6.00/8 oz. - plus shipping. Email Wild Pantry to Order. Wild Crabapple jelly - Sweet tart flavor of apples. $6.00/8 oz. - plus shipping. Email Wild Pantry to Order. Domestic pear preserves. jelly $8.00/8 oz. jar, plus shipping. Email Wild Pantry to Order. 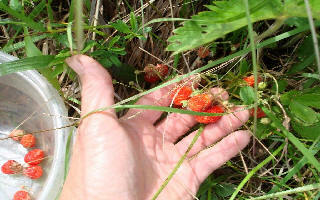 If you would like to submit a recipe for any wild jelly, jam or preserves, please email our Webmaster.